Vicky Lewis is a force to be reckoned with: not yet thirty and already crew manager in the London Fire Brigade, she's destined for great things. But when she enters a burning building to save a man's life and leaves it with catastrophic injuries, all that changes. She's shunted over to the Fire Investigation Unit, where she's forced to team up with cantankerous veteran Des Farmer, a.k.a. the Grouch. When Vicky stumbles across the Grouch's off-the-books investigation into the fiery deaths of a series of young, blonde women, she decides to join him in his search for the truth. The answer is close - perhaps too close. Vicky's already been burnt once, and now she's playing with fire. THE SHOUT was a very exciting read and I can fully appreciate the claim that Stephen Leather is the single most requested author by inmates of HM Prisons who want to borrow books from the library trolley in order to better pass their time to be served. 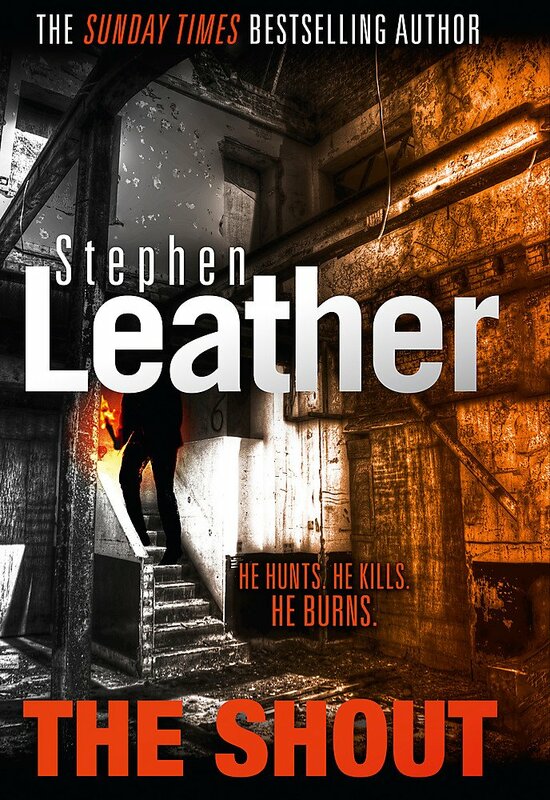 Stephen Leather is from a journalistic background and meticulously researches the background to all his books and it is very reassuring, reading facts and background details to his stories and knowing that they must be authentic. I thought that this was a real dynamite of a story and easily one of the best that he has ever written. His keen journalistic attention to detail kept me gripped to the edge of my seat right up to the last page. 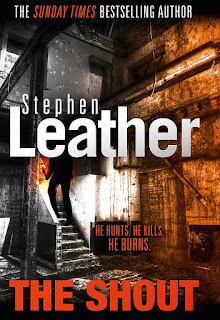 As this is a stand-alone thriller it was really exciting to read something away from his two main series ie the Dan ‘Spider’ Shepherd one and the Jack Nightingale supernatural one. I found the book extremely enjoyable and would certainly recommend it. All in all, though this is quite a long book, the author likes to write as if he was the driver of an express train and the pages just flew by; I was so gripped by the tense and exciting plot to find the killer of all these innocent blonde women. The extraordinary and completely unpredictable ending to this outstanding story was so incredibly imaginative, that I cannot wait to see what the next book by this very versatile and prolific author will be.